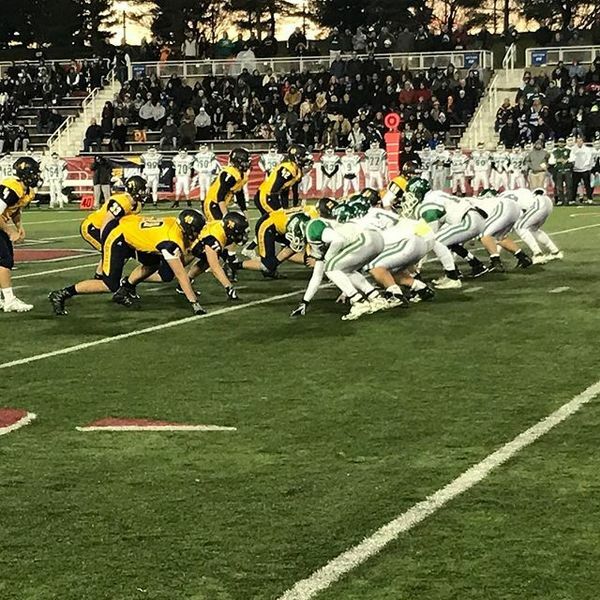 Follow along for live updates from the Class IV Long Island Championship between Nassau champion Seaford and Suffolk champ Shoreham-Wading River at Stony Brook University's LaValle Stadium. Seaford's Josh Pinnock makes 20-yard field goal to give Vikings a 3-0 lead w/ 7:21 left in first quarter. AJ Cain recovers his own onside kick as Seaford takes over at own 47 w/ 6:54 left 1Q. Seaford drive stalls at midfield. SWR takes over first-and-10 at 22. END of 1Q: Seaford up 3-0 on Josh Pinnock's 20-yard field goal. Big INT in end zone when SWR's Chris Gray tipped ball to teammate Joe Miller who kneeled ball in end zone. SWR down 3-0 w/ 8:56 left in 1H. Seaford's Tyler Volpi recovers fumble for Vikings, who take over at SWR 23 with 7:15 left in opening half, up 3-0. SWR's Chris Gray explodes for 63 yards to Vikings 15 w/ 5:23 left in 1H. Seaford leads 3-0. Chris Gray goes over the right side from 6 yards out and Tyler McAuley's PAT gives SWR a 7-3 lead with 3:55 left in first half. SWR stops Seaford at the SWR 20. SWR leads Seaford, 7-3, w/ 1:03 left in first half. SWR leads Seaford, 7-3, at the half of the Class IV L.I. 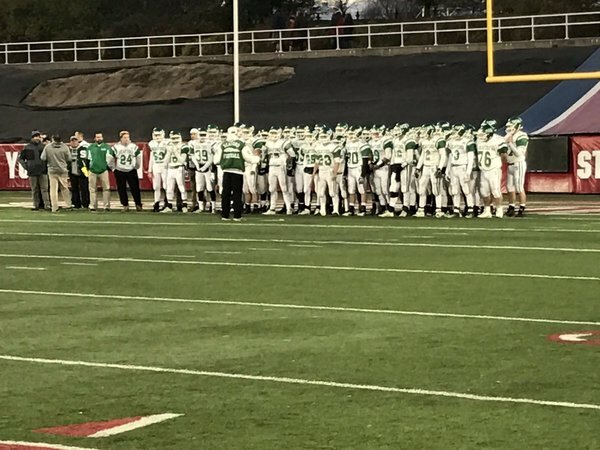 championship game, the 100th LIC game ever played. @Gregg_Sarra has seen them all. Chris Gray rushed for 132 yards and a TD as SWR leads 7-3. 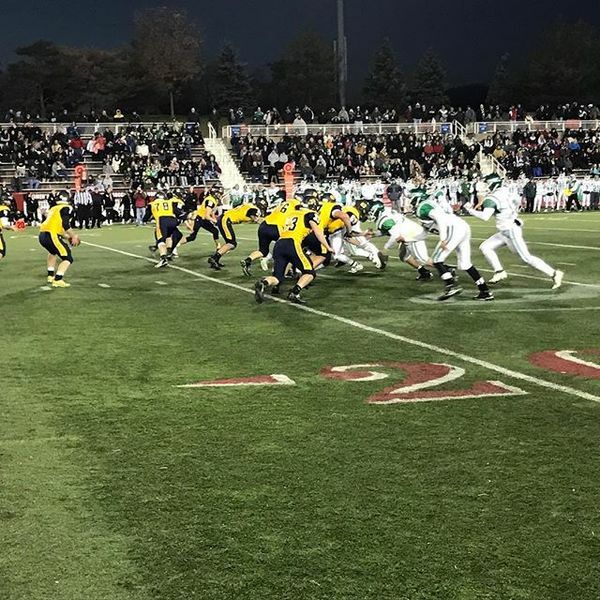 Danny Roell led Seaford w/ 55 yards. Ethan Wiederkehr had 5.5 tackles w/ SWR. 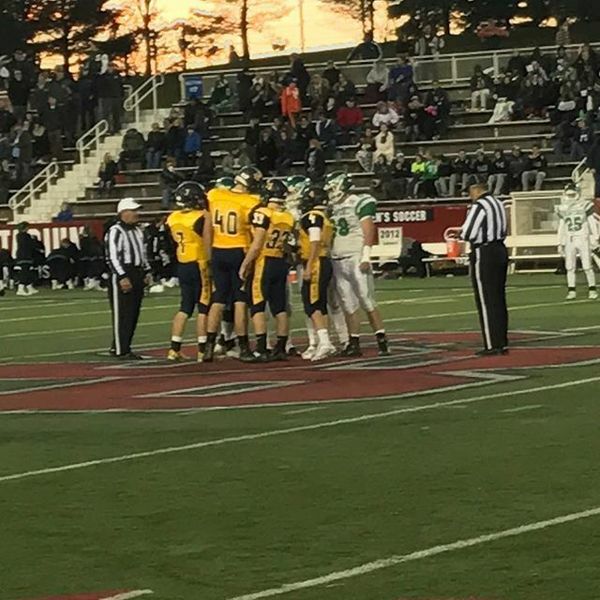 SWR will get the ball to open the third quarter of the Class IV LIC at Stony Brook's LaValle Stadium up 7-3 against Seaford. SWR stopped near midfield and has to punt. Seaford takes over 1st & 10 from its own 16 w/ 7:30 left in 3Q, SWR up 7-3. SWR Ethan Wiederkehr sack puts Seaford back to its own 8. Two Sea penalty makes AJ Cain punt from back of EZ. SWR takes over at Sea 23. Chris Gray runs untouched up the middle for 17-yard TD run. PAT is no good as SWR leads 13-3 with 4:32 left in 3Q. SWR stops Seaford on fourth down. SWR takes over with 2:32 left in 3Q up 13-3 and looking for knockout. SWR's Chris Gray makes three great cuts on his way to 24-yard TD run. Kick gives Wildcats a 20-3 lead with 39 seconds left in third quarter. SWR leads Seaford 20-3 after three quarters. 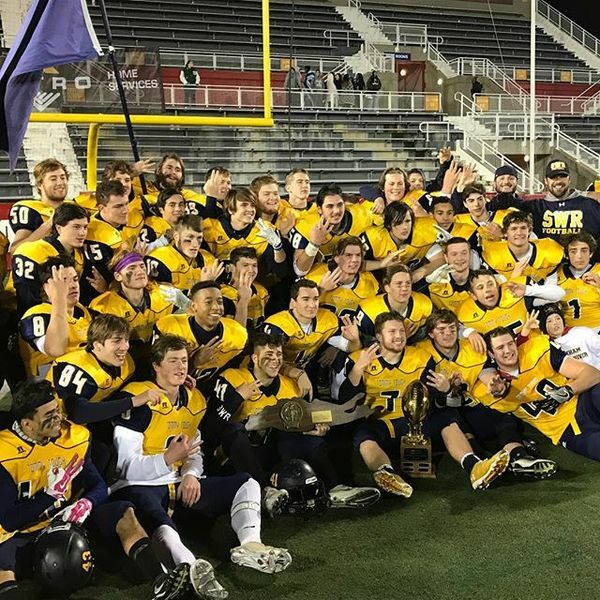 SWR is just 12 minutes away from 3rd straight LIC title & would be 4th program to turn feat. Seaford's Kevin Murphy with the 18-yard TD from A.J. Cain to cut Shoreham's lead to 20-10 with 3:45 left in the game. 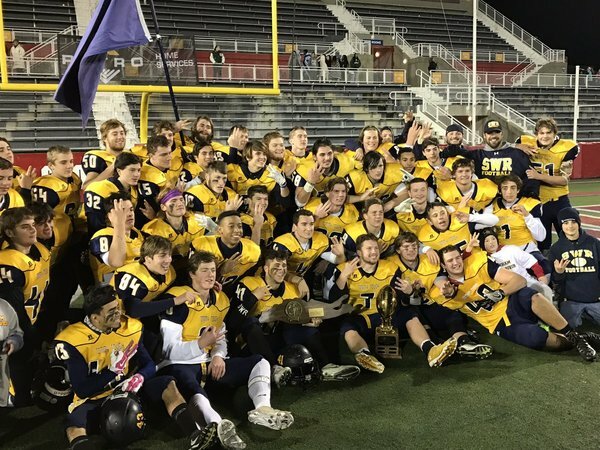 SWR defeats Seaford 20-10 to win its third straight LIC. It is the 100th LIC ever played. 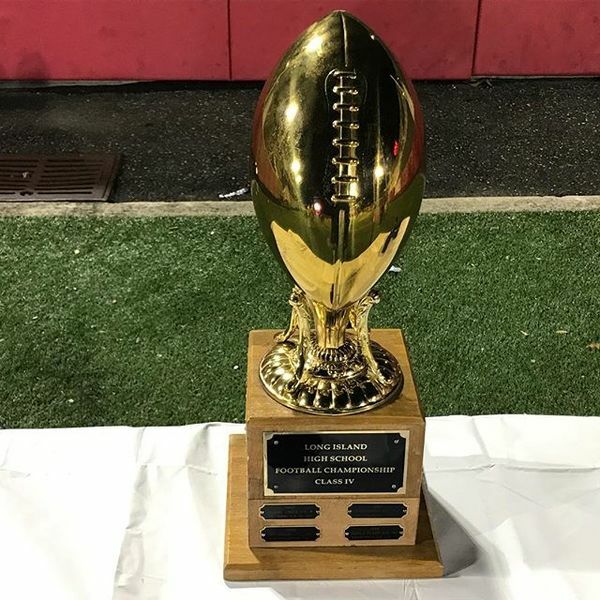 What's the first thing you do after winning a third straight LIC? 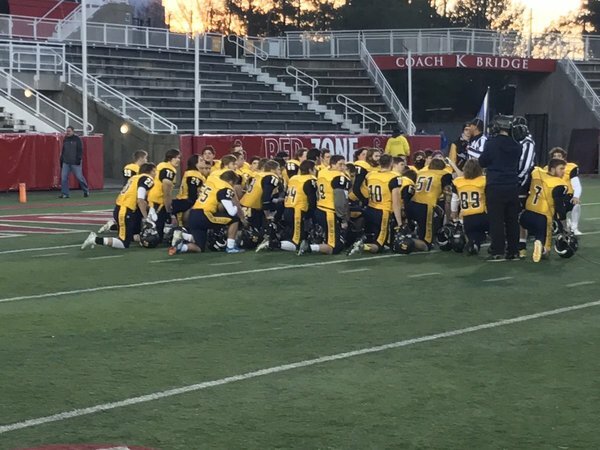 For Shoreham-Wading River, it's celebrate with your fans.